Jules Verne (1828 - 1905) was the first author to popularize the literary genre of science fiction. Laying a careful scientific foundation for his fantastic adventure stories, he forecast with remarkable accuracy many scientific achievements of the 20th century. He anticipated flights into outer space, submarines, helicopters, air conditioning, guided missiles, and motion pictures long before they were developed. Sidney Kravitz is a retired scientist and engineer who has published many articles in mathematics and engineering magazines throughout the world. 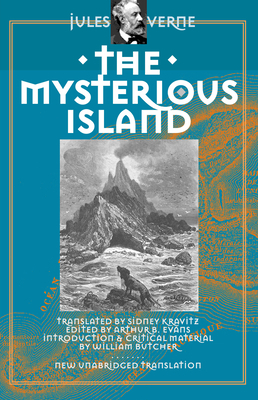 He spent fourteen years translating The Mysterious Island. William Butcher is Senior Lecturer in English at the Hong Kong Institute of Education, author of Verne's Journey to the Center of the Self: Space and Time in the Voyages Extraordinaires (1990), and translator of Journey to the Centre of the Earth by Jules Verne (translation, introduction and critical edition, 1992), Around the World in Eighty Days by Jules Verne (1995), and Twenty Thousand Leagues Under the Sea by Jules Verne (1998).